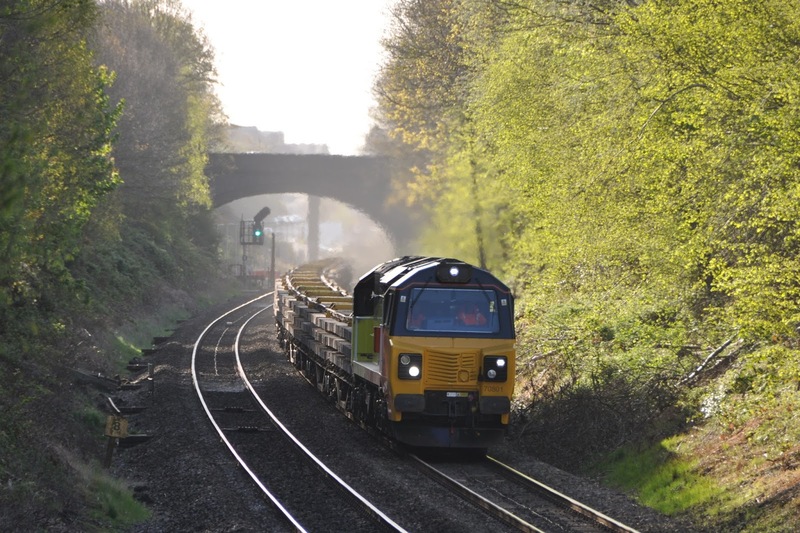 On 26th April there was something of an invasion of the new Colas class 70 locomotives with engineering trains relating to a job on the Great Western route. Most of the trains were booked for Colas traction between Westbury and the worksite between London and Slough. Passing within minutes of each other close to Gerrards Cross I captured 70801 (the former Turkish built demonstrator loco 70099) working a train to westbury (above) and 70804 with a load of fresh ballast heading to the worksite (below). Colas class 70's entered traffic in spring 2014.